Our most precious causes hold a deep place within our hearts. As non-profits, we have the emotion, passion, and energy for those causes. Sometimes, people even work without pay for our missions. And yet, why is it that non-profit companies struggle to engage users in the digital realm? And what should we be doing to resonate with our core audience? 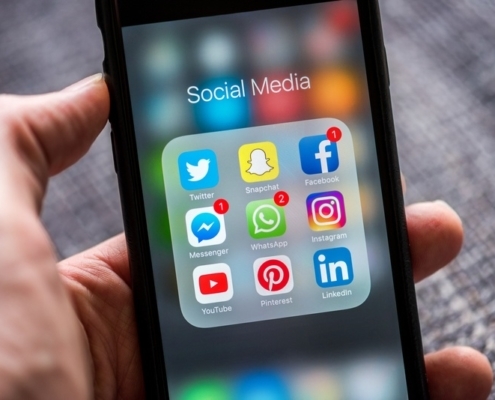 All non-profits, from something as specific and location-oriented as the Tucson Youth Development to the internationally acclaimed and versatile Habitat for Humanity, could benefit from proper use of social media to garner public attention and support. Here is a list of beneficial actions to help your non-profit’s social media presence. Go to Google and search for your non-profit’s name. If your website or local business listing doesn’t appear, make sure to work on your local search presence before starting to engage in social media. Ensure the organization has listings available on the Better Business Bureau, Google My Business, LinkedIn, and relevant local directories. If your audience can’t find you, then they can’t engage with you. Non-profits must ensure that every dollar gets the biggest bang for its buck; we do that by engaging with our audience, where they live online. We have a ton of options (which also means plenty of space to spread ourselves too thin): Facebook, Twitter, YouTube, Snapchat, Periscope, Pinterest, Instagram, Yelp, Eventbrite, Google+, to name a few. Ultimately, we have to find where our audience engages digitally. Note: If this list seems overwhelming, send a quick email survey to your audience and directly ask them what top social media channels they engage with (Google Forms or SurveyMonkey are fantastic for this purpose). If we attempt to navigate the waters of social media without a plan, we’re in for a rough trip at sea. We must find a way to engage our target audience without overwhelming them, consistently. This means regularly engaging for relevance (typically weekly), periodically connecting emotionally (usually monthly), and semi-annually launching large-scale campaigns designed to inspire and excite our core audience. Note: Social management tools (e.g., Hootsuite) can be very helpful for managing weekly posts. Understanding the effectiveness of our campaigns is critical because it allows us to build upon that knowledge. The more we experiment and learn from those experiences, the better our social programs will become in the long run. Beyond social engagement metrics, check out Buzzsumo and TalkWalker, as well as your website’s analytics. At the end of the day, non-profits and social media are like peanut butter and jelly. Your impact on the community makes it essential to stay actively engaging online with your audience. Want to learn more about how to best utilize social media for your non-profit? We can help!